Patek Philippe didn’t aspire to make the first automatic movement; instead, the perfectionist watchmakers at Patek set their goal to build the best automatic movement, which was introduced in 1953 in the reference 2526. Of course, we are speaking of the Caliber 12-600, which featured many refinements and the highest level of finishing seen on a movement to date. This vintage Calatrava reference 2584 dates to circa 1960 and is powered by the fabled 12-600 AT movement. 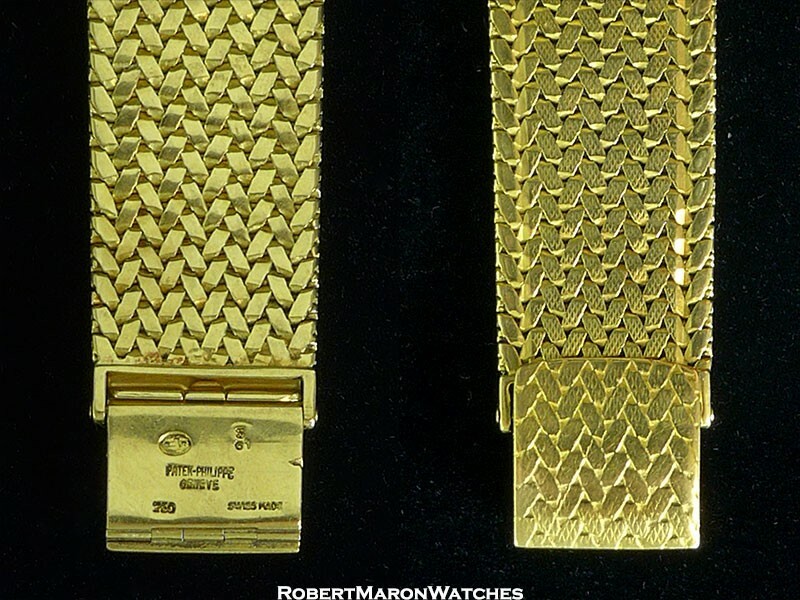 This 18k watch is also special for the original to the watch Gay Freres bracelet, bearing date code ‘3 61’. Case is a substantial 36mm diameter by 11.3mm thick. Crystal is domed acrylic. Snap on case back. Total wearable length of the watch is 7.5 inches. 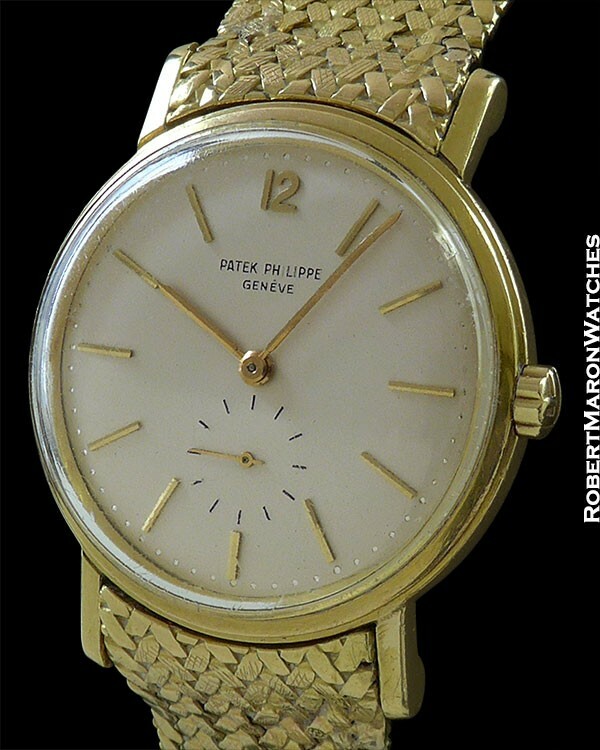 Original untouched dial with applied golden hour markers and ‘12’ along with embossed minutes chapter. Subsidiary seconds dial at 6 o’clock. 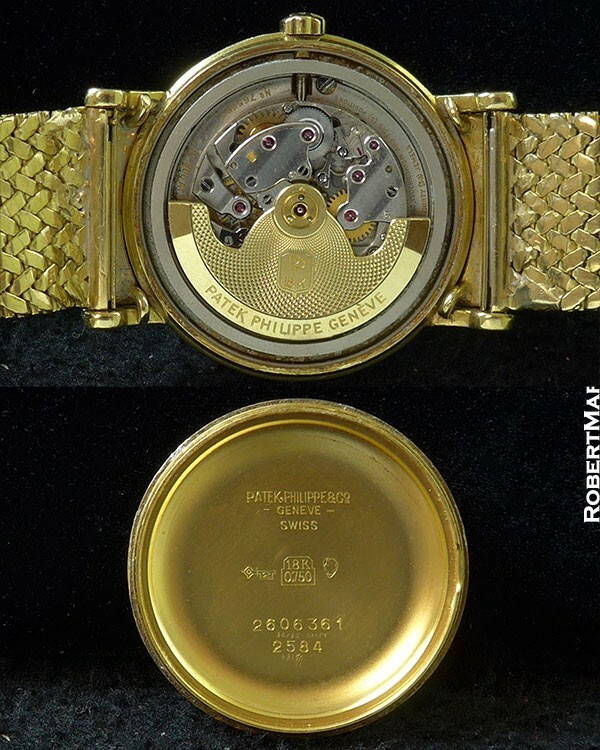 The automatic winding Caliber 12-600 AT has 30 jewels and is double-stamped with the Geneva Seal. Movement is immaculate and running. 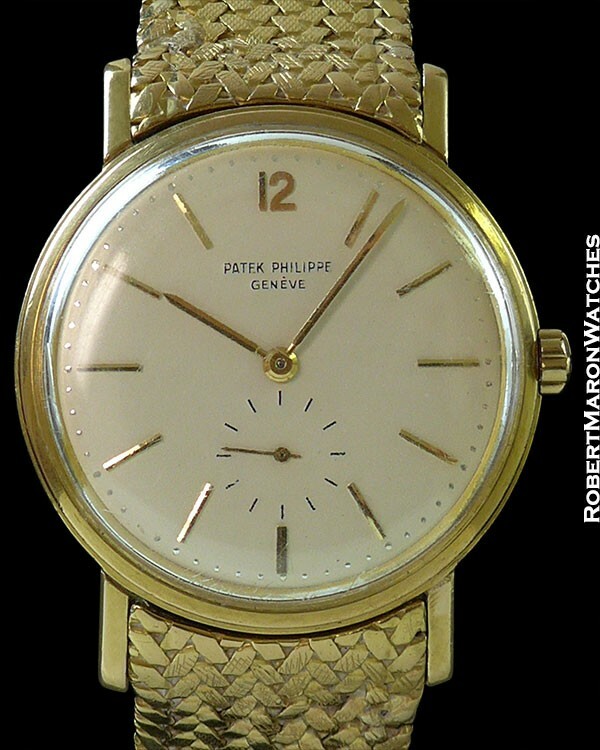 This is a wonderful vintage Calatrava for daily wear, which is what it was intended for when Patek made it!